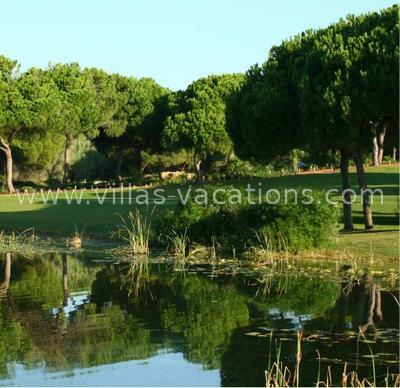 The Vila Sol Golf Resort is located in an estate of around 150 hectares and is well known for its beautiful natural surroundings with a vast range of fauna, animal and plant life. The Vila Sol Golf Resort comprises a fabulous 27-hole golf course, which was the first in Portugal to be designed by the famous English golf architect Donald Steel. The course stretches along a wide valley, naturally sculpted by Mother Nature and is divided into three loops of 9 holes with three different levels of difficulty: Prime, Challenge and Prestige. The course is stunning and welcoming to all levels of players. It has a fantastic clubhouse and you can also practise your game at the excellent driving range or practise course, of around 300 metres, alongside the Clubhouse. Furthermore, to help you improve your golf technique that little bit extra, Vila Sol Golf developed an Academy. The Academy is located just 300 metres from the Clubhouse and is equipped with a swing analyser with video, an Explanar golf training machine, 4 putting greens, 2 bunkers and various tees with three different levels to practise your short, medium and long game.